What the "6 o'clock" news should be telling you. There are more homes that have sold this year than last year! Interest rates are at historic all time lows! Home prices are now affordable! The cost to rent exceeds the cost of buying a home! And finally there has never been a better time to buy a home! In the future, buyers will be saying "I could have bought a home at $-------- (fill in the price) and at -% (fill in the rate) interest rate" and the market will then be filled with "I could'a, I should'a, why didn't I? regrets"
Let's hope they really mean it and help make Short sales easier and quicker. This is an Independent Foreclosure Review by the Federal Reserve Board who has issued action against several large mortgage servicers. 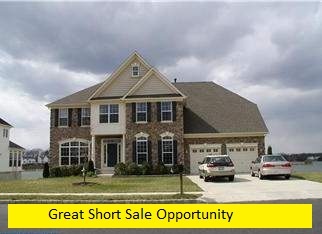 The review is free but you must request a review before 12/31/2012 Watch the video with this link for more info http://bcove.me/ge01fiaz and please pass it on if you know someone who had a foreclosure filed during those times. Why Homeownership is a GREAT thing! #2: Ability to mortgage for a long term yet still hold the title/deed and ability to payoff mortgage and build equity with each payment. #3: Abilty to improve of fix-up and ADD value. And you can do all of this while still having a place to live and enjoy! Try doing that with any other investment! This is scary and can anyone dispute this? A friend said to me"They meaning you Realtors say prices are going up but what is the real story because there are conflicting reports?" Well here are the facts: The average price in south Jersey according to TREND MLS is higher than last year. But here is why: much of the really low priced inventory, homes below $100,000 have already sold and homes priced higher than $500,000 have started to sell and those 2 factors have raised the average sales price. The number of home sales are are higher than last year but there still is a lot of inventory ( homes currently on the market) and a lot of Short Sales that still have to sell before we will see prices rise. Great home with lots of room, 4 bedrooms 2 full baths, in-law suite located on a quiet no thru street. We had more that 43 guests visit the Open House and generated 4 offers and are now going to contract. Do not believe all the "Doom & Gloom" the news says about the real estate market, because we are selling houses. In fact real estate is so good: we are having a SALE!